Would you believe that the air inside our homes is up to 5 times more polluted and contaminated than the air right outside our door? This astonishing fact drives me to share ways in which we can reduce the pollutants in our home so that we can breathe a bit freer and rest a bit easier that our homes are places we can thrive and prosper, not places making us sick. Toxic overload is the condition that our bodies experience when we are bombarded with synthetic chemicals that our bodies’ immune systems cannot properly handle. This webinar helps explain why these conditions exist in our everyday living, the extent of the impacts on our health, ways to reduce our exposure to these contaminants in our homes, and the means by which we can safely cleanse our bodies of the harmful chemicals that have built up over time. You can register for this free event, happening November 20, 2018, 8:30 PM ET using the information below or through this link. Who doesn’t relish the satisfaction of coming home after along day of work and relaxing in their welcoming home? 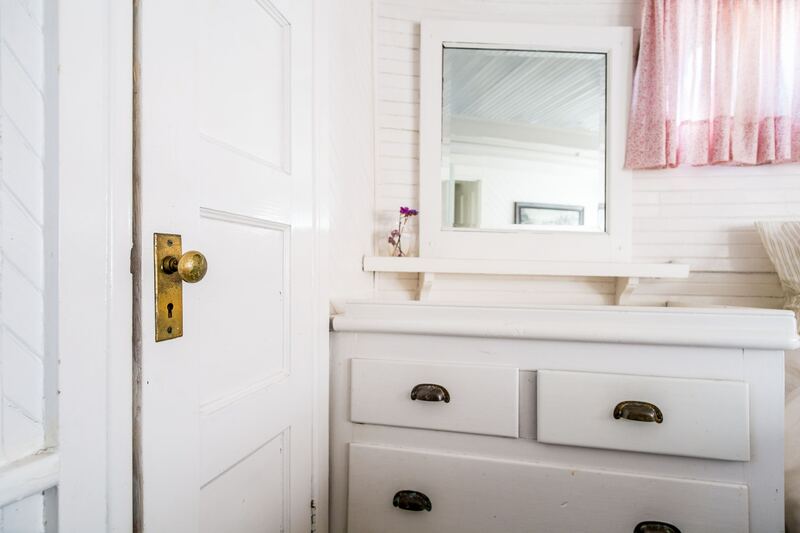 Just because your house is clean, doesn’t mean its free of toxins. When you can feel assured you are keeping your home as healthy as possible, it makes the comfort of home doubly inviting. It’s a great time to bring a few new routines, products and features into our homes to create a new, healthy, vibrant environment in which to enjoy life. Ready to get this job done? Let’s improve the air you breathe, the water you drink, and things you come in contact with in your home. Come to our workshop February 26, 2018 at 7 pm to learn how! 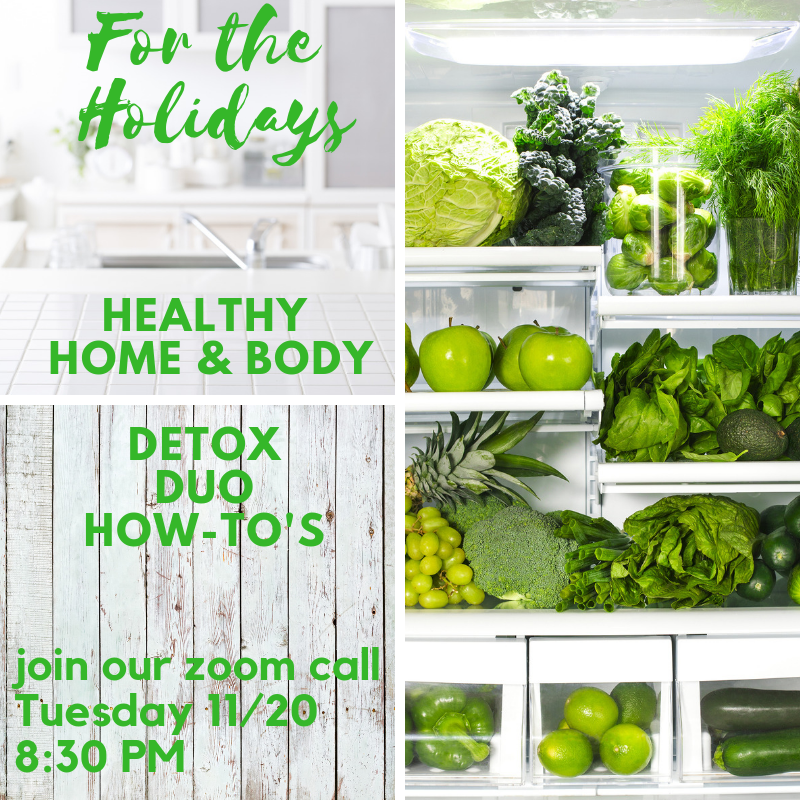 Not only will you get a detox plan customized to your home, but you’ll learn how to save over $1,500 a year in home energy and household products in the process! Follow this link to register. Space is limited so don’t wait, sign up now. 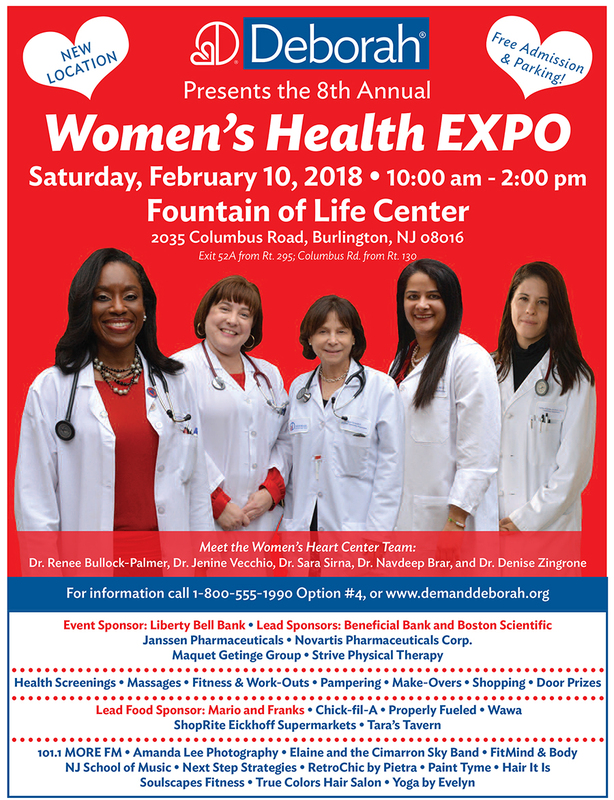 February is Heart Health Month, and I’ll be supporting Deborah’s 8th Annual Women’s Health Expo by representing Greener Cleaner LIVING and Shaklee. Come for health screenings, work-outs, pampering, shopping – & visit me to learn how Shaklee’s proven & pure heart-health nutrition & supplement line-up helps you live younger longer. Fountain of Life Center, 2035 Columbus Rd., Burlington, NJ 08016, 10:00 am to noon. On January 17, 2018, I had the pleasure to speak with a high-energy group making great strides to improve the well-being of our local community. 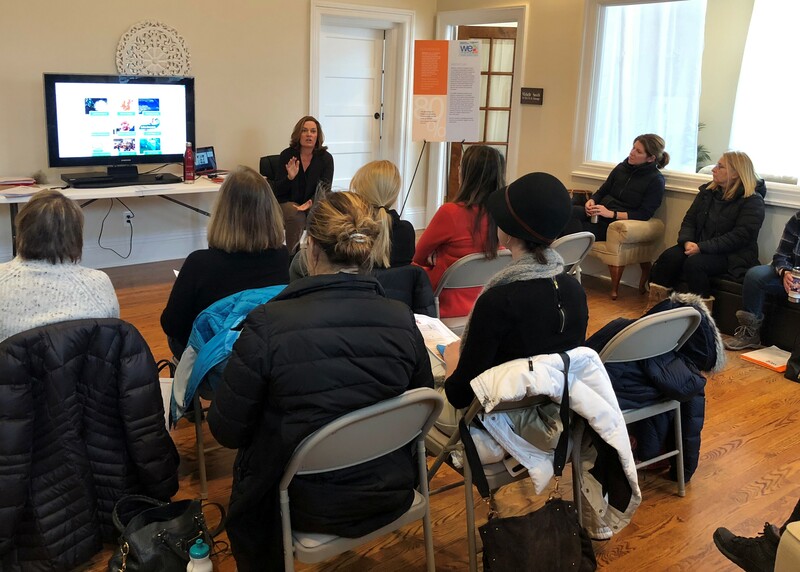 WEforum welcomed me to share some thoughts at their 2018 kick-off meeting, hosted graciously by Navesink Wellness Center in Rumson, NJ. WEforum’s mission is to strengthen the health & wellness of communities by educating and empowering individuals to take charge of their health care choices. Sharing the message of empowering people to thrive with fewer harmful toxins, energy and waste, in the simple acts of everyday living, was warmly welcomed the audience. So too were all the intrinsic benefits that come along, in essential areas of our lives, including our well-being, home environments, wallets and communities. I was asked to share THREE TOP TIPS for creating a healthier home. This list appears in WEforum’s current newsletter (sign up here to stay informed of all WEforum’s events and exciting initiatives). Water: Drop the plastic water bottles and swap in home-filtered water (pitcher, tap or whole-house) in reusable glass or stainless steel bottles. Save $300/year on 50 cases – offset the cost of filtration, avoid sickness from water pollutants/contaminants/BPA, save valuable natural resources, and reduce ocean plastic pollution. Cleaners: Swap out conventional cleaning & laundry products and avoid parabens, fragrances, and harmful caustic additives to improve indoor air quality, reduce allergies, asthma & respiratory inflammation, skin conditions, cancer and chronic illnesses. The air in our homes is 2-5 times as dirty as the air outside, and cleaning products are the major culprit. Our bodies are in contact with our clothes and sheets 24×7, so making swaps in laundry room eliminate absorption of cancer-causing ingredients through your skin. Going concentrated saves $100’s/year, easily offsetting the cost of making the switch. Food: Say no to GMO’s. The genes of most conventional grains, vegetables, and fruits have been modified to allow the plants to survive huge dousings of pesticides (weed killers, such as Monstanto’s Round-Up glyphosphate product). Here’s just one example of the harm done to human health: when we ingest food made from crops with these reproductive gene modifications, our reproductive systems are negatively affected, multiple studies have shown, increasing the risk for infertility, birth defects, cancer and chronic illnesses. Thankfully more and more products with the NON-GMO and ORGANIC labels are on the shelves – always go NON-GMO! Repeat lecture date and time TBD. You won’t want to miss this!